not so ethical methods of marketing in the past. George has a "brand-new rollout" of his Google Sniper program titled Google Sniper 3.0.
that was titled "George Brown’s PREDATOR". Here's a screenshot of someone leaving their thoughts about "George Brown’s PREDATOR"
has been known to release in the past. having accounts closed for spamming or other suspicious activities. the Google Sniper 3.0 a whirl. get to the product! This is because I had to navigate past 4 additional sales offers. 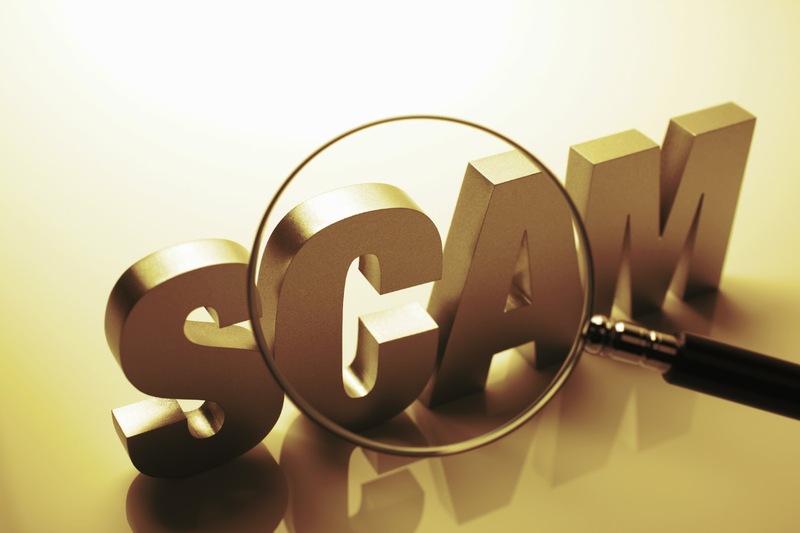 But the worse part about the buying process was almost being tricked into a monthly recurring payment membership of $47 a month with Google Sniper 3.0.
mention of any sort of recurring fee. Have a look at this screenshot below. a month. Have a look. But if you uncheck the box and then visit the checkout, the Future Payments of $47 a month is gone. they need be sneaky about the recurring monthly fee? see the "meat" of my purchase. I have to admit, the product is laid out pretty well. sell the Google Sniper 3.0 training. The remaining videos varied in length and gave you instructions on how to sell Google Sniper 3.0.
banned from various email and social networks. After watching the Sniper Cash Machine videos, I can understand why. You are instructed to use your social profiles to blatantly advertise for Google Sniper 3.0.
the other things you are instructed to do (direct email friends and family and direct message friends on Facebook) are considered to be spamming and can result in account termination and possible legal actions. a Wordpress blog, finding niches, finding keywords, etc.. but there is a major flaw to it. to do were typical strategies from several years ago. Then I had the confirmation that the guide I was reading was a bit dated. Quite a bit has changed as far as internet marketing is concerned since 2009. The other thing that really bothered me was that Google Sniper 3.0 was supposed to be fully updated. The pdf continued to mention Google Sniper 2.0 updates. most of that seemed to be roughly 6 months old as well. still refers to Google Sniper 2.0 throughout the guide. same information that is in the “Bulletproof Manual” several other places online for free. Who Is Google Sniper 3.0 For? in the “Sniper Cash Machine” as they are borderline spam actions that can get your social accounts banned, internet cancelled or worse. 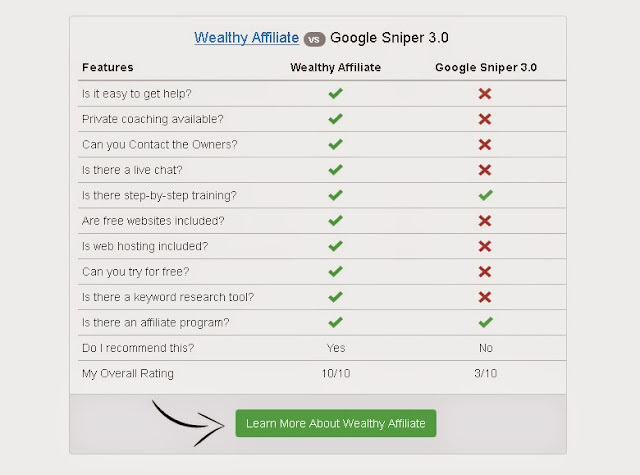 you can find on YouTube, here, and many other marketing blogs for free, I really can’t see many other people benefiting from the basic courses at Google Sniper 3.0. Google Sniper 3.0 does have a support system in place in the form of email. They state that it can take several days or a week or longer to receive answers to your questions. They also state that they will not give any support until you have your campaigns fully setup. This basically means you are on your own and need to rely solely on the training itself for support. but now serves as a great reminder of how things used to be. would miss by reading many of the free “What is internet marketing” e-books that are online. you per sale, really bothers me. While there are some great points in the Bulletproof Manual, it is nothing that is revolutionary or ground-breaking. It certainly doesn’t justify the price for the entire course. up-to-date training courses out there. Affiliate is superior in all aspects of training and features. What Is Better Than Google Sniper 3.0? blogosphere. Brief but very precise info? great chance to start a bright and wonderful career. I wish I could study International Business Administration there someday. for the wonderful work they're putting in to provide good education quality. Much respect! Big up (y) ! Hi! I could have sworn I've been to this website before but after looking at a few of the articles I realizd it's new to me.